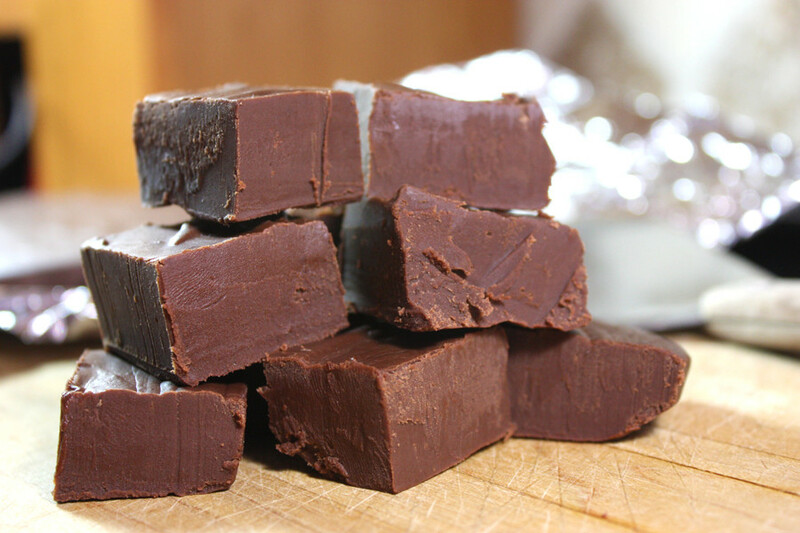 Cucina Vivace (Koo-chee’-nah Vi-vah’-chee) began as a Washington, DC area restaurant in 2007 and evolved into catering, cooking classes, restaurant consulting, food sites, and a mouthwatering line of small batch, hand-crafted caramella fondente. Chef Gordon Vivace has over 20 awards to his credit, was featured in the single edition Celebrated Chef’s of DC (DC’s top 50 chefs), and his cookbook on old world Italian tradition has remained five star rated on Amazon since 2012. Let us cook something up for you! Cucina Vivace’s popular caramella fondente is available wholesale. Click here for details. Bring your recipe to win Cuisinart appliances, gift cards, and more! 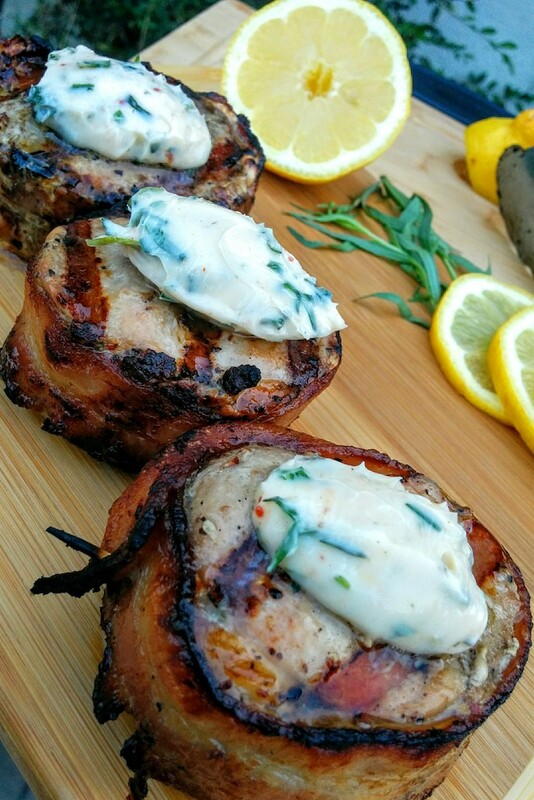 We love to see what home cooks are doing and give them a chance to showcase their talents. Visit the site here. 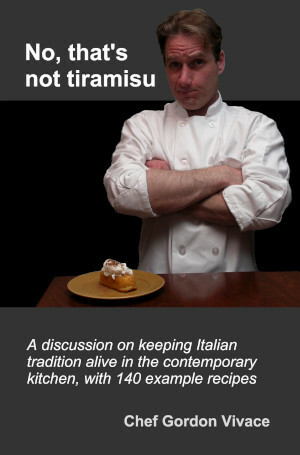 The chef takes you on a funny romp through what’s wrong with Italian food in America and how to fix it at home. More than a collection of recipes, it’s a real discussion of Italian cooking principles and keeping tradition alive in the contemporary kitchen. See it on Amazon here. We offer catering throughout the Mid-Atlantic region for parties of 10 to 100, though outside the region is sometimes possible. 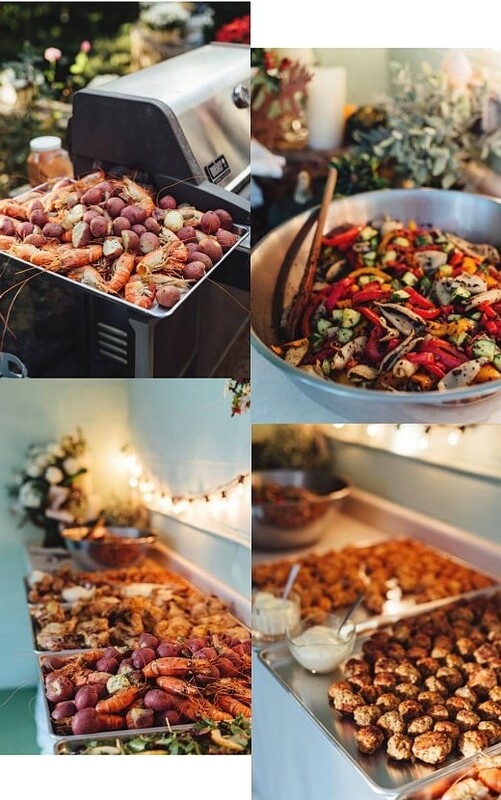 These images are from a wedding on Cape Cod with 6 courses for 80 people. The menu is up to you and can include anything from gourmet to grill, or even gourmet from the grill. 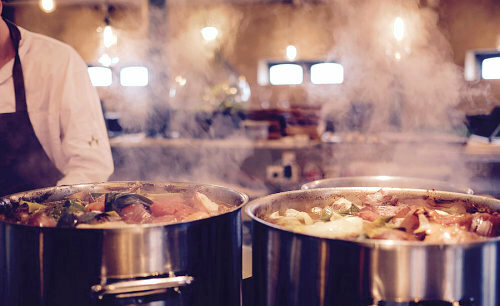 If you need help with kitchen design, marketing, code compliance, or menu development, the chef has had a hand in everything from initial blueprints to steady operations in venues of virtually all sizes and is ready to help anywhere in the continental US. Get the gang together and make learning a party. 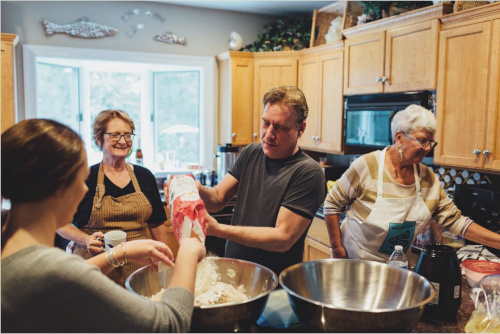 From 3 to 30, everybody can take part and have a great time upping their culinary game in your own kitchen, or at one of ours. We're open from 8:00 AM to 10:00 PM every day and usually respond within just a few hours. Any information you enter on this site is for our eyes only. We never share your information.